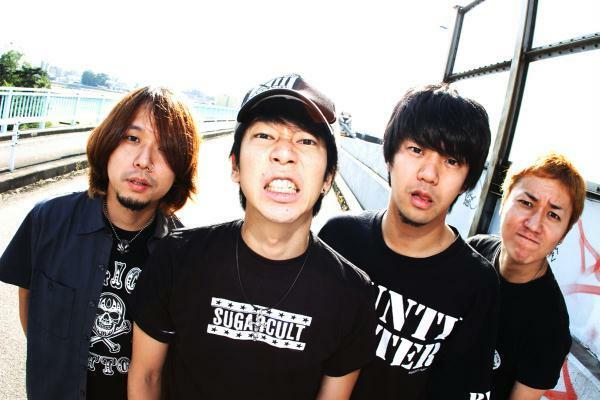 ELLEGARDEN is a Japanese rock group that formed in December of 1998 in Chiba, Japan. It includes drummer Hirotaka Takahashi, vocalist Takeshi Hosomi, guitarist Shinichi Ubakata, and bassist Yuichi Takada. Their names are usually abbreviated and is called “ELLE”. ELLEGARDEN has a sound strikingly similar to some American Pop Punk bands, and sings in both Japanese and English. Because of their usually grammatically correct English lyrics (mostly written by Hosomi) and the generally perfect pronounciation of them, there have been many different theories as to why Takeshi Hosomi speaks English so well, ranging from him being in a band covering English songs for six years to having a foreign roommate. It is still not known why. ELLEGARDEN has been compared to famous artists of similar style, most notably Sum 41 (ELLEGARDEN was the band’s opening act on February 2005 during the Sum 41 Japan Tour 2005), Blink 182 and Good Charlotte.Their popularity comes from the sounds that they bring which has an emotional punch to it. Their final tour of 2006 features the American band Allister – the bands became friends during SXSW 2006.